65 Jahre Be­frei­ung vom deut­schen Fa­schis­mus! Einstellung der §129a-Verfahren – sofort! Together-we-are-Bremen calls for another rally in front of the police station Bremen Vahr Free Momodou! 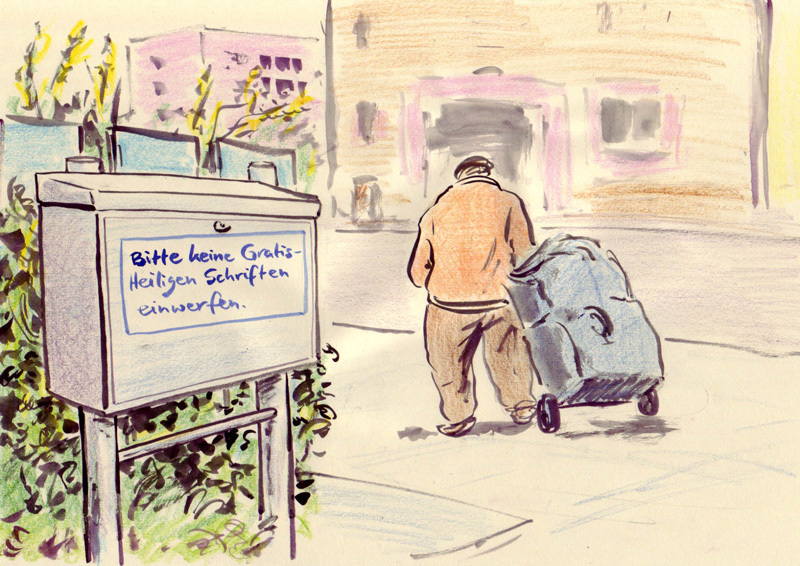 Report about the detainment and planned deportation of Momodou B.
Neue antikapitalistische Organisation? Na endlich! „By placing bets on different horses in Egypt and Tunisia, Saudi Arabia and Qatar have become rivals in a transitioning Arab world. The rise of a conservative yet democratic form of Islamism may be a wave that Qatar can ride, to Saudi Arabia’s dismay. However, Qatar’s influence could be crowded out by a rising Egypt or even Iraq in the future. 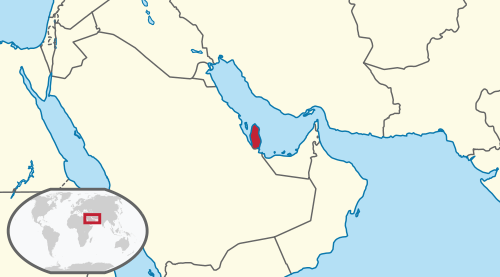 Furthermore, if the Arab Awakening spreads from Bahrain into other Gulf emirates, Doha may need to rein in its international ambitions and address its democratic deficit at home. 12 June 2012: Tunisian Islamic fundamentalists unleashed a campaign of firebombing trade union offices around the country today , as the Salafist movement challenges the emerging democracy in the home of the ’Arab Spring’. Regional offices of the national union centre UGTT in three locations have been burned down by Salafists under the slogan „There is only God and the UGTT is the enemy of God“. UGTT regional offices were main organising points for the revolution to depose former President Ben Ali. The UGTT offices in Bou Salem were destroyed and its bureau in Ben Gardane were burned out in news just received by the ITUC, while union centre’s headquarters in Jendouba in the North West were firebombed at 2am local time this morning. Political parties which have shown support for the UGTT, including the PDP, Republican Party, The Forum, and the Alwatad Movement have also been targetted along with courts, post offices, art galleries and even police. „The authorities need to move quickly to put an end to this violence, which has been building for some time. The people organising these attacks have been generating a climate of fear and intimidation which threatens the very development of a democratic Tunisia,“ said Sharan Burrow. „Demnach kann man an der eigenen ökonomischen Lage grundsätzlich nichts ändern. Das hat Gott vorherbestimmt. Sogar die individuellen Anlagen – jene des Paradieses oder jene der Hölle – sind vorherbestimmt. Den oben genannten Werteexhibitionismus legitimiert sich ja bereits über Erfolg und Charakter. Nun geht diese Weltanschauung noch fundamentaler. Erfolg und Charakter sind bereits vorherbestimmt. Das enthebt die salafistische Ideologie nun völlig jeglichem Versprechen nach sozioökonomischer Verbesserung. 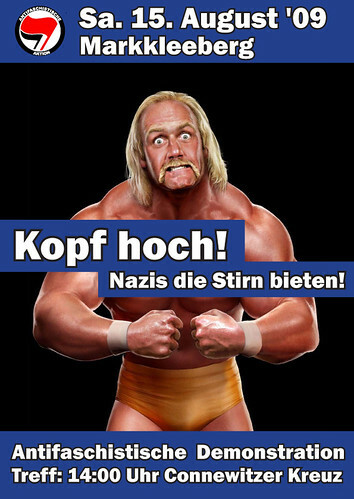 Egal wie es kommt, ob man arm geboren wird und es bleibt oder reich oder sich hocharbeitet. Es ist vorherbestimmt und selbst die charakterliche Einrichtung des Menschen, die das erst ermöglicht, ist vorherbestimmt. Für das Leben und die Freiheit von Hamza Kashgari! 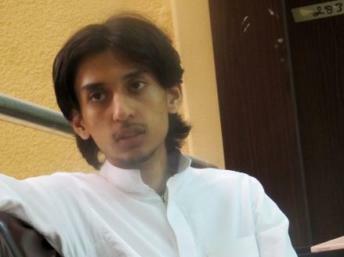 On 12 February, Malaysian police deported 23 year old Saudi columnist Hamza Kashgari, who fled Saudi Arabia after making comments on Twitter claimed by some to be “insulting” to the prophet Muhammad. There have been widespread calls from Islamists for his execution – and in Saudi Arabia, blasphemy is punishable by death. Theocratic regimes like Saudi Arabia will not tolerate the most basic freedom of thought and expression. We defend the right of everyone in the world to freely express their views, including to criticise religion. We condemn the Malaysian government for detaining Kashgari who had fled the country and handing him over to the Saudi authorities. We are also concerned to learn that Interpol had issued a warrant for his arrest based on the Saudi government’s request. The implications of this means that no asylum seeker or refugee is free from persecution even after having fled. We demand that the Saudi authorities immediately and unconditionally release Kashgari. He has not committed any crime. Eine neue Studie des Internationalen Gewerkschaftsbundes (ITUC-CSI-IGB): Saudi Arabia bans trade unions and violates all international labour standards. Domestic workers fear for lives in modern day slavery. JAKARTA, Oct 13 (Bernama) — Some 26 Indonesian workers in Saudi Arabia are facing execution, Vice Chairman of Indonesian Migrant Workers Union (SBMI) Ramses D Arman, said here on Thursday. „Some 26 of a total of 44 Indonesian workers involved in criminal cases in Saudi Arabia have been sentenced to death and are waiting to be executed,“ Antara news agency reported him as saying. He said that the government must act fast to save the 26 citizens. „President Susilo Bambang Yudhoyono must directly handle this matter and try to lobby the Saudi Arabian government to prevent our citizens from being executed,“ Ramses said. One of the 26 Indonesian workers now waiting to be executed in Saudi Arabia is Tuti Tursilawati (27 years old) from Cikeusik village, West Java. She left for Saudi Arabia on Sept 5, 2009 and was placed as a caregiver for her employer’s father. She was arrested and sentenced to death in 2010 for murdering her employer’s father. There was no information about her motive, but according to Ramses, Tuti was raped by her employer’s father before she killed him. Up till now, officials from the Indonesian consulate general in Jeddah were still trying to save Tuti from execution by lobbying the victim`s family to forgive her. 5.) U.a. neu auf der Webseite der GenossInnen der RSO: „Für gleiche Rechte, Liebe und Sozialismus!“ und Was will der „Revolutionäre Aufbau Schweiz“? „Amy Wootten, 25, claimed the driver even threatened to call the police – forcing her to get off in the rain with six-week-old Emily at a stop with no shelter. The stunned learning support assistant, who had to fork out £8 for a taxi home, said: „The driver told me someone had said I was indecently exposing myself and said, ’stop or get off my bus‘. It was like he was suggesting I was doing horrendous things. I think in this instance the bus driver was within his rights to ask the mother to get off. I do think the argument that women should be allowed to breastfeed wherever they like has gone a bit too far. It’s a question of decency and other people’s feelings. Our parents‘ generation got by perfectly well without needing to breastfeed in public. Permanente Revolution in Süd-Arabien (pdf-Datei, 8,66 mb) eine Sonderausgabe der InPreKorr vom 15. August 1972, welche sich der Revolution im Südjemen und den bewaffneten Kämpfen im Nachbarstaat Oman widmet. Die relativ optimistische Sicht auf die Dinge wurde leider einige Jahre später enttäuscht, die Isolation der jemenitischen Revolution im arabischen Raum, der geringe ökonomische Spielraum des Landes und die Abhängigkeit von sowjetischen und anderen Geldgebern führte zur Erstarkung der Bürokratie in Staat, Partei und Miliz/Armee, welche 1978 die noch am ehesten für eine revolutionäre und sozialistische Perspektive stehende Fraktion um Salim Rubai Ali gewaltsam stürzte und sich selbst im Januar 1986 in mörderischen innerbürokratischen Fraktions- und Verteilungskämpfen dezimierte, was den Weg zum Anschluss der Volksdemokratische Republik Jemen an den konservativen Nordjemen im Jahre 1990 ebnete. Islamistische Gruppen scheinen übrigens damals in der Region nur von marginaler Bedeutung bzw. nichtexistent gewesen zu sein. Please support the campaign to defend Yahya Al-Faifi. Yahya Al-Faifi is a trade unionist from Saudi Arabia, where trade unions are illegal. Yahya was persecuted in his homeland for organising trade unions and was forced to flee to Britain in 2004 with some of his family. Vor 100 Jahren am 8. März 1908 demonstrierte in New York die „Social Democratic Women’s Society“ für das Frauenwahlrecht. Bei der „Zweiten Internationalen Konferenz kommunistischer Frauen“ 1921 wurde schließlich der 8. 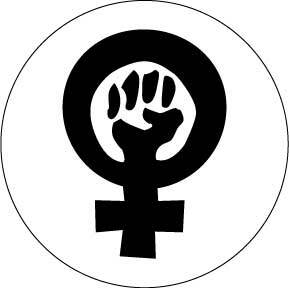 März zum „Internationalen Frauentag“ erklärt, um die Bedeutung der Frauen für die Revolution hervorzuheben. Die Rebellion der St. Petersburger Arbeiterinnen und Kriegswitwen am 8. März 1917 war der Startschuss für den Sturz der zaristischen Tyrannei. Heute ist die Frauenrechtsbewegung im Iran wieder die Vorhut einer revolutionären Bewegung der Freiheit und Gleichheit. Während bedauerlicherweise weite Teile der hiesigen Linken sich in ihren ideologischen Schützengräben eingraben und Emanzipationspotenzial entweder in US-amerikanische F16-Bomber oder in eine Querfront mit den religiösen Faschisten des Politischen Islam hineinfabulieren, zeigt sich für jeden und jede, der und die projektionsfrei auf den Iran blicken, unzweifelhaft wer das Subjekt für eine fortschrittliche Perspektive ist. Die freiheitsliebende Bevölkerung des Irans bringt ihren Protest gegen das menschenverachtende Mullah-Regime Tag für Tag zum Ausdruck – auf der Straße, in den Universitäten, in den Fabriken, in Kurdistan. Trotz der Repressionen des islamistischen Regimes und ihrer Hizbollah-Bluthunde, die jede emanzipatorische Regung im Keim zu ersticken versuchen. Selbst das „harmlose“ Sammeln von Unterschriften für die gesetzliche Gleichstellung der Geschlechter wird mit Gefängnis und Folter vergolten wie zuletzt bei den Initiatorinnen der Kampagne „Eine Millionen Signaturen verlangen dass die diskriminierenden Gesetze geändert werden“. Wir wollen am 8. März, dem Kampftag für alle unbeugsamen und freiheitsliebenden Frauen, zeigen, dass wir uns mit den ungehorsamen Frauen im Iran, in Afghanistan und weltweit zutiefst verbunden fühlen und wir uns nicht zwischen den imperialen Ordnungskriegern und den islamistischen Kulturkriegern zerreiben lassen. Am 8. März erheben wir unsere Stimme für die beiden Schwestern Zohreh und Azar, die kürzlich aufgrund von vermeintlichem „Ehebruch als verheiratete Frauen“ zum Tode per Steinigung verurteilt worden. Wir erheben unsere Stimme für die 15 Schulmädchen, die am 11. März 2002 in Mekka, Saudi-Arabien, in den Flammen den Tod fanden, weil Religionspolizisten die Mädchen, die in Panik vergaßen sich zu verschleiern, in die brennende Schule zurückprügelten und Rettungskräfte am Betreten des Gebäudes hinderten. Und wir erheben unsere Stimme für alle anderen Frauen, die im Namen der Religion erniedrigt, gedemütigt und versklavt werden. Die Organisation for Women’s Liberation-Iran hat mit der Publikation eines neuen englischsprachigen Infoblattes begonnen, welches den Titel The NEWS you need to know trägt. Die im November veröffentlichte Ausgabe thematisiert das „Verschwindenlassen“ von feministischen AktivistInnen im Iran sowie Frauenunterdrückung in Saudi-Arabien, Irak und Afghanistan und kann hier als pdf-Datei heruntergeladen werden. Das K-Gruppen-Forschungsprojekt Materialien zur Analyse von Opposition (MAO) hat vier neue Zusammenstellungen mit Auszügen aus der K-Gruppen-Presse der siebziger Jahre zu vier unterschiedlichen Staaten auf der arabischen Halbinsel online gestellt; zu Saudi-Arabien, Jemen, Jordanien und dem Oman. Auffällig ist in diesem Zusammenhang beispielsweise, dass relativ wenig Informationen in der K-Gruppen-Presse zur inneren politischen oder gesellschaftlichen Situation in Jordanien und Saudi-Arabien zu finden sind; Schwerpunkte der Berichterstattung zu diesen Ländern waren die Involvierung in den Israel-Palästina-Konflikt (im Falle Jordaniens spielte sich die brutale Repression gegen palästinensische AktivistInnen und Flüchtlinge seitens des jordanischen Staates – der sogenannte Schwarze September 1970 im Berichtzeitraum ab) und ihre Stellung zur Supermacht USA. Ein wenig anders liegt die Gewichtung innerhalb der Berichterstattung im Falle des Südjemens, wo es im Zeitraum nach der Unabhängigkeit des Landes 1967 zur einzigen sozialen Revolution im arabischen Raum gekommen war sowie zum Oman, wo mit der PFLOAG, (ab 1974) PFLO, eine (auch heute noch unter dem Namen People’s Democratic Front of Oman (PDFO) bestehende aber derzeit weitgehend bedeutungslose) Befreiungsbewegung mit dem Schwerpunkt der an den Südjemen grenzenden, von Angehrigen sprachlicher Minderheiten bewohnten Region Dhofar, gegen das Regime in Maskat kämpfte. * Der IGB dokumentiert auf seiner Webseite ein Interview mit Mariama Dioulde Diallo, Aktivistin der Vereinigung der FärberInnen (UMTG), welche im wesentlichen prekär beschäftigte Frauen im Textilgewerbe organisiert und vertritt. Mariama Dioulde Diallo schildert in dem Interview die Situation von Frauen in einer patriarchal dominierten Gesellschaft und Ökonomie und den Aufbau von Verbindungen zum Gewerkschaftsdachverband CNTG im Rahmen der Antiregime-Bewegung 2007. * Die aktuelle Ausgabe der Solidarity enthält ein Interview mit dem exilierten saudi-arabischen Gewerkschafter Yayha al Faifi, einem Land, wo die klerikal-monarchistische Diktatur jede form proletarischer Selbstorganisation gewaltsam unterbindet.